Motion seconded by Dan Parks. Motion Passes unanimously. comparison at the next meeting. The draft budget for FY 2016/17 will be presented in May. attended the SF Travel Outlook Forum with Visit California. Planning the CVENT trade show in June. the destination. 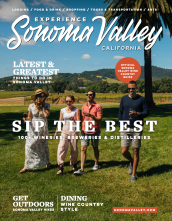 The new website will have an interactive map and a dedicated Sonoma section. Romance month is wrapped up and was very successful with more than 200 social media images posted. 805% increase in Facebook fans in the past two years with high engagement. Request for VinOlivo with the condition in can&apos;t be submitted late again in the future. Motion seconded by Gay Johann. Motion Passes unanimously.